Congratulations on picking up the new Reverse Your Fatty Liver program! I’m excited you joined, and honored to have you as a customer. You will be taken to the download page in just a minute, where you will get immediate access to everything. First though I want to share what I believe is the easiest (and most powerful) way to lose weight I have ever tried, and make you a kind-of-crazy offer to upgrade to the Gold Level. I know, it sounds unbelievable, but I promise, it’s one of the most effective methods in the world because it uses the power of your mind to help you achieve things you never thought were possible. Hypnosis is a proven way to overcome just about anything… smoking, drinking, bad habits, you name it. The good news is it’s especially effective for losing weight. Once you experience how easy it is to drop extra pounds with this, you’ll wonder why you waited so long to try it out! Hypnosis works because the information you get during a session bypasses your conscious mind and goes directly into your brain, telling it what kind of person you want to become. Hypnosis can literally alter the way you think about food and exercise forever, and help you finally make the important dietary changes to become truly healthy. 1. Your cravings for unhealthy foods disappear. You will no longer desire the sugars, fats, or junk foods that are harming your liver and making you overweight. 2. Your desire for healthy foods will increase. You will begin eating foods that are good for you and support your body’s natural ability to burn fat. 3. You will look forward to moving your body. Some people feel like going to the gym, some start exercise programs, and some just begin walking more frequently. The bottom line is that you will start developing new habits that can help you become healthy and fit. If you are anything like most people, you’ll find it’s much easier for you to to lose weight after a hypnosis session. How Much Does Hypnosis Typically Cost? If you were to hire a trained hypnotherapist to guide you through a custom session on losing weight, it would probably cost around $100. And whenever you wanted another session, you would have to shell out another hundred bucks. That may sound like a lot, but because hypnosis has such a proven track record of success, many people think it’s worth it. 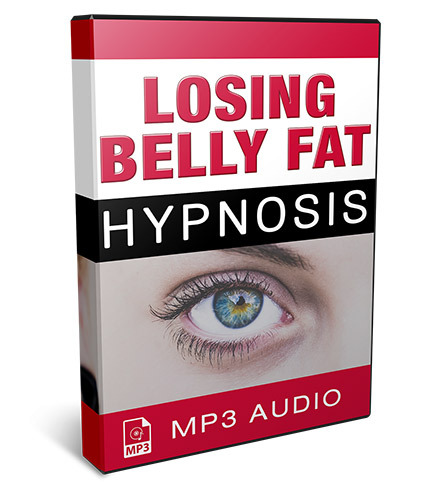 Losing Belly Fat Hypnotherapy Session – 47 minutes: This amazing session helps you eliminate cravings and encourages both healthy eating and gentle movement. It’s my favorite, and I try to listen to it every week. Positive Body Image Meditation – 15 minutes: Discover how to shift your thinking about your body, and release years of pain, guilt, and shame around how you look and how others see you. This powerful session helps you re-program your mind and eliminate old stories holding you back. 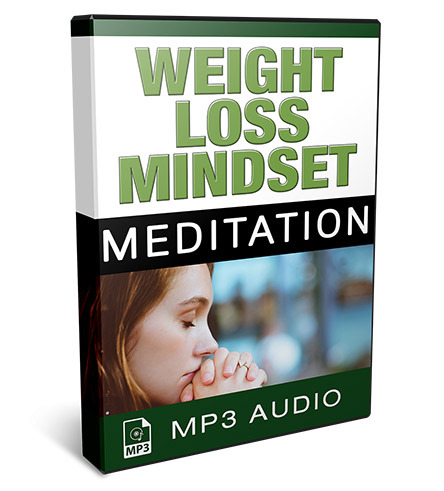 Weight Loss Mindset Meditation – 20 minutes: Achieve the mindset of a healthy, happy, and skinny person, and let your mind lead you to where you want to be. I listen to this one while walking. It’s short and very effective. The best part is that you get permanent access to these three powerful sessions. You can listen to them again and again using any device (phone, computer, tablet). Or you can download them and listen to them offline while you are meditating or just hanging out. All you do is put your headphones on, relax, and listen to the session when you have a few minutes. The results are immediate, and many people find their unhealthy desires are eliminated more and more each passing day. You will probably begin feeling like you want to become more healthy without even knowing why, and will start taking on new habits that support your liver and body. If you are interested in upgrading, click the big yellow button below.